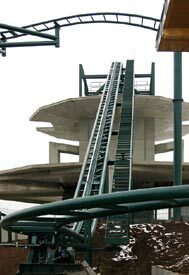 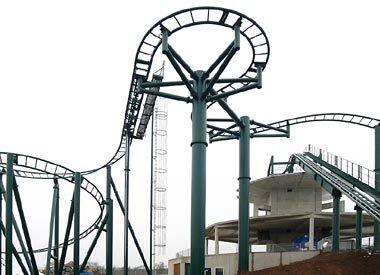 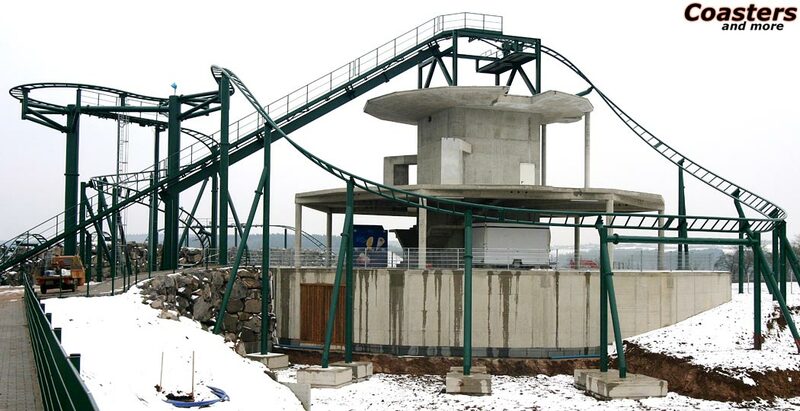 Well, there it his: High above the Moselle river it is located, the only new roller coaster in Germany for 2004. 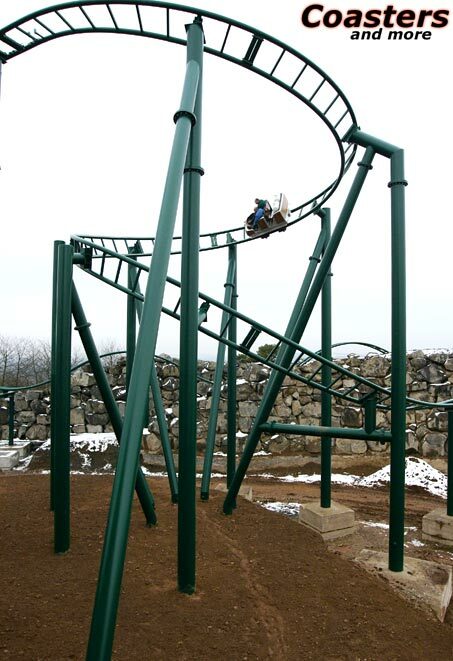 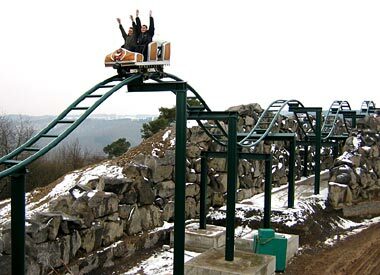 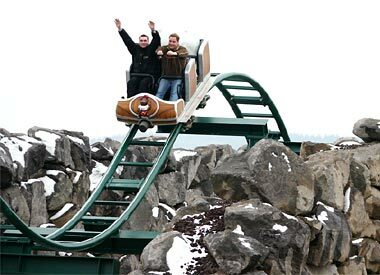 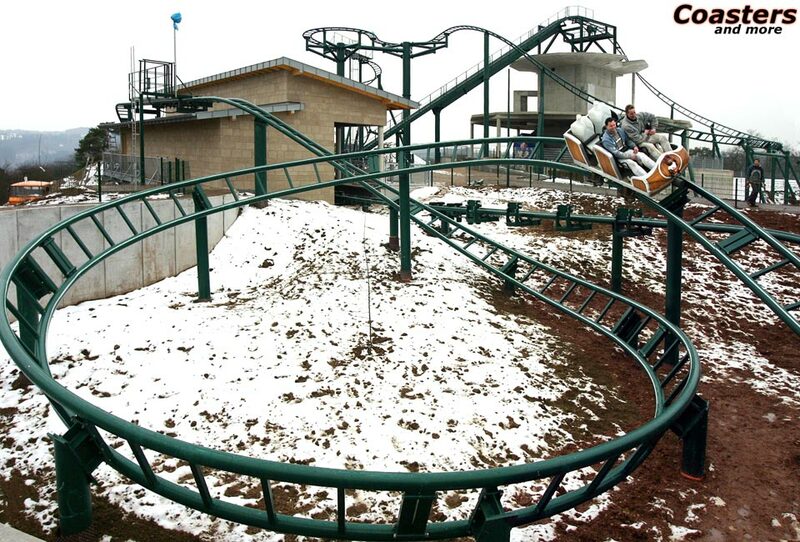 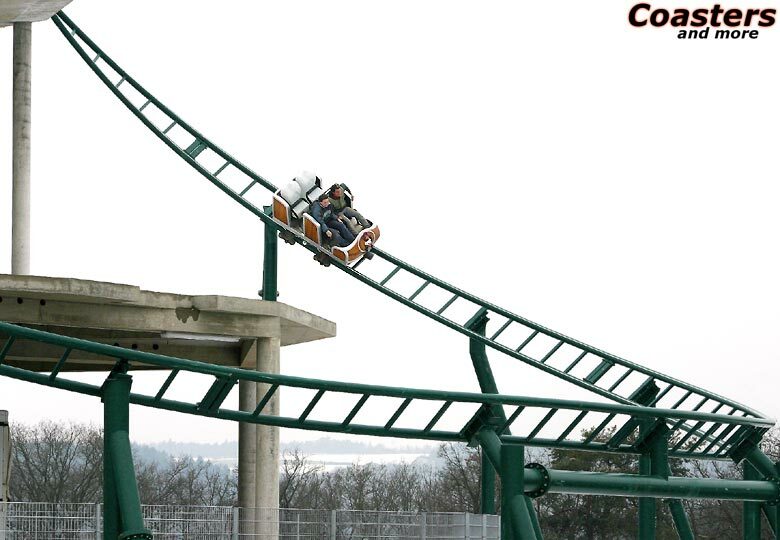 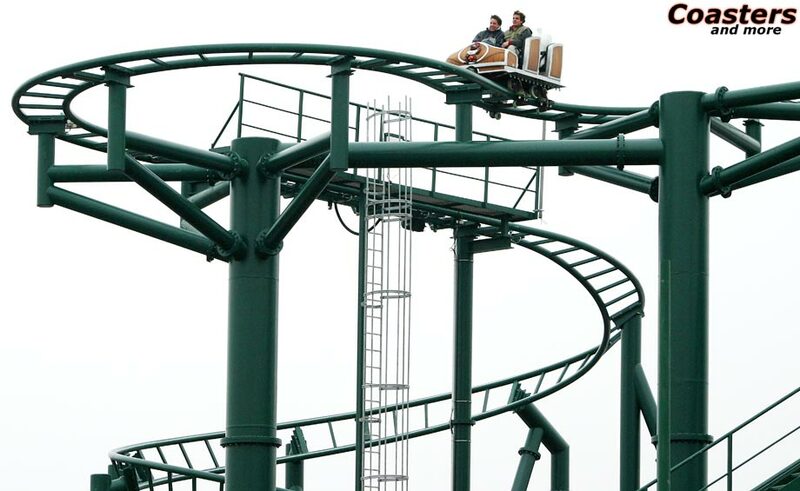 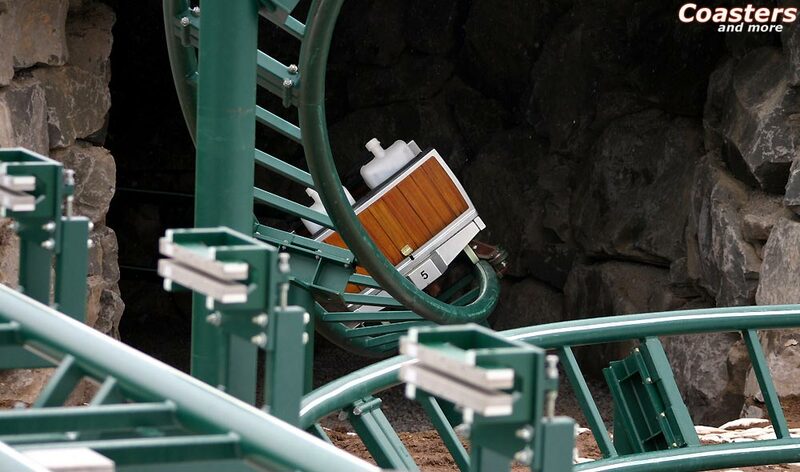 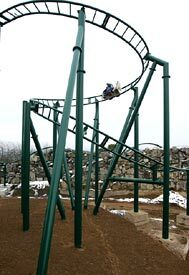 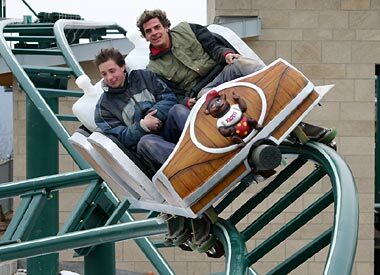 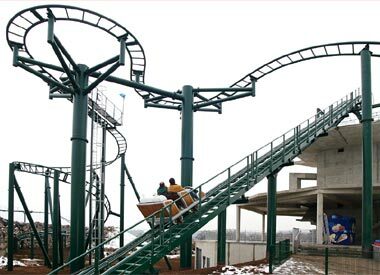 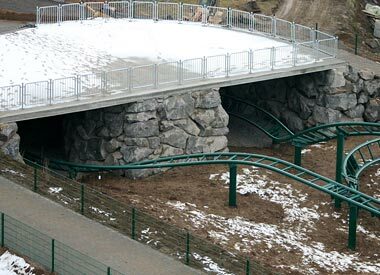 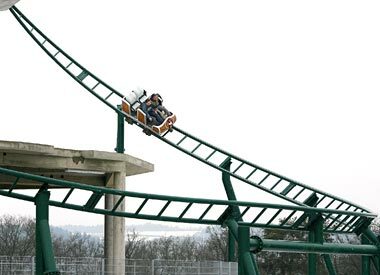 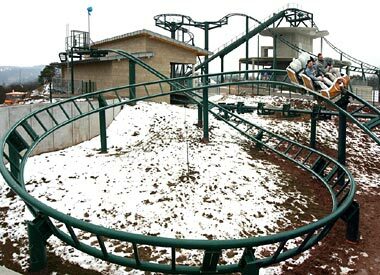 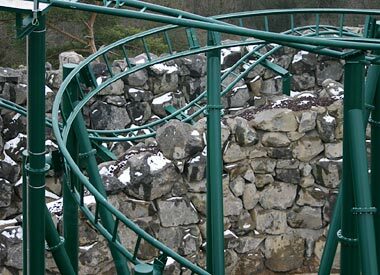 The small Wild- und Freizeitpark Klotten (deer and amusement park) takes its visitors by surprise with a Bobsled Coaster manufactured by Gerstlauer company. 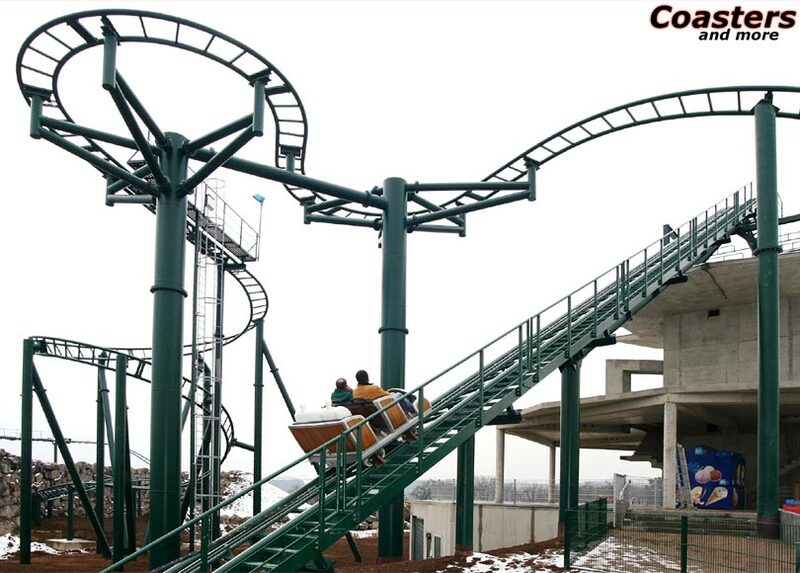 The construction pictures already made the ambitious enthusiasts click their tongues, but the ride offers even more than could be expected. 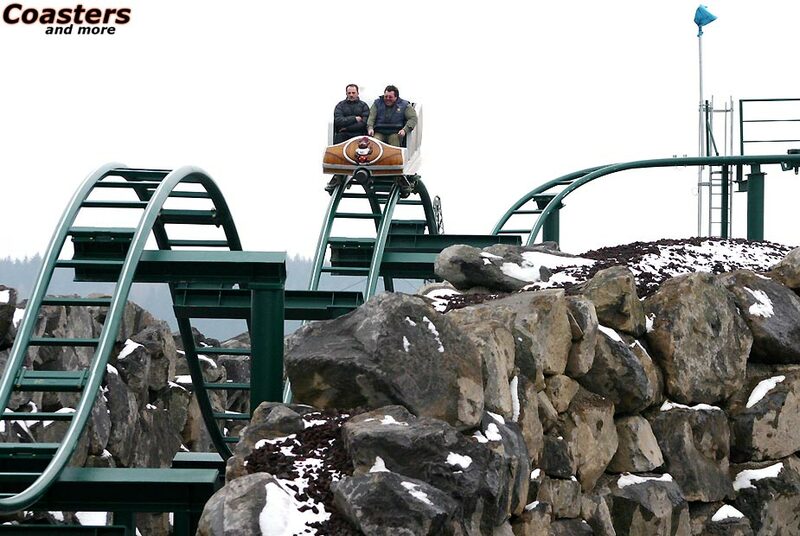 The impulsive trip around the volcano takes about 60 seconds. 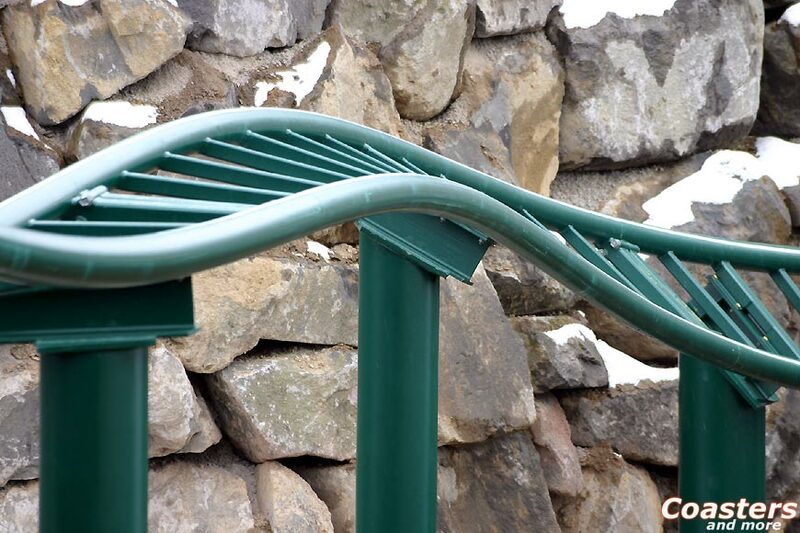 It is supposed to appeal to the core audience consisting of families with small children, but it also shall lure new sections of visitors to the park. 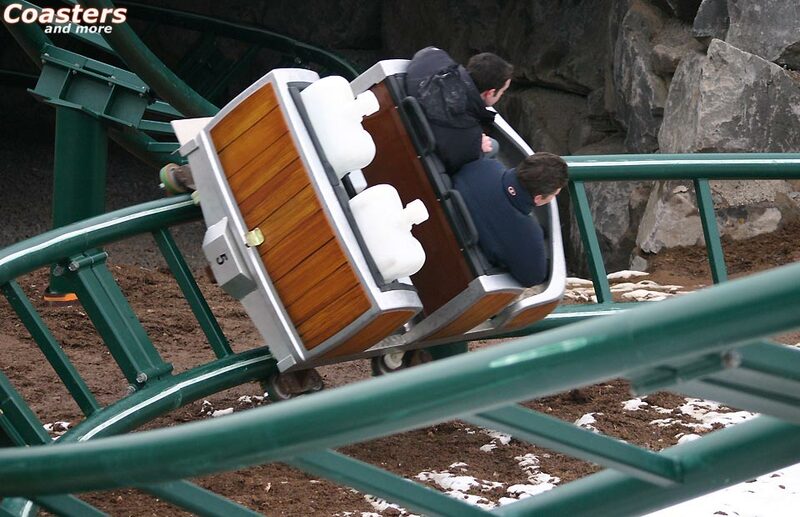 Five single cars negotiate the track, a sixth one can be put in late order if the ride proves successful. 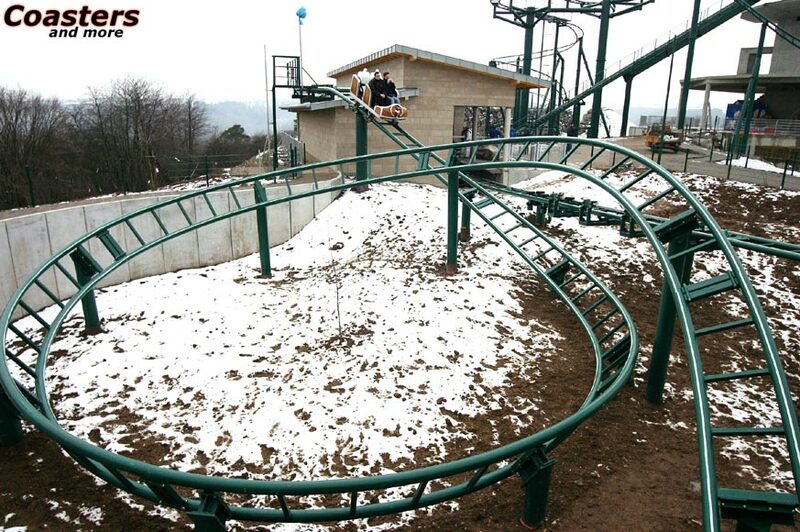 The track layout is more multifaceted than ever, despite it is only 560 meters long. 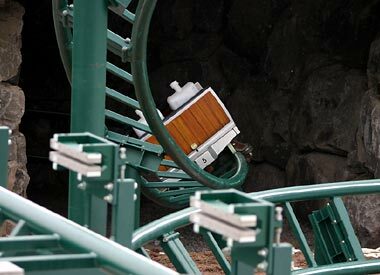 The first drop is followed by some mouse curves, then a helix leads the cars down with increasing velocity. 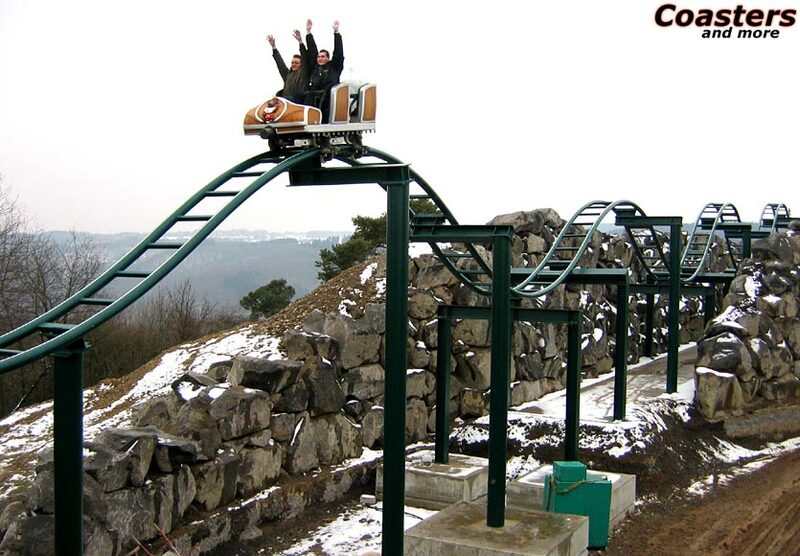 Next comes a speed section close to a steep face, followed by four consecutive bunny humps offering loads of airtime. 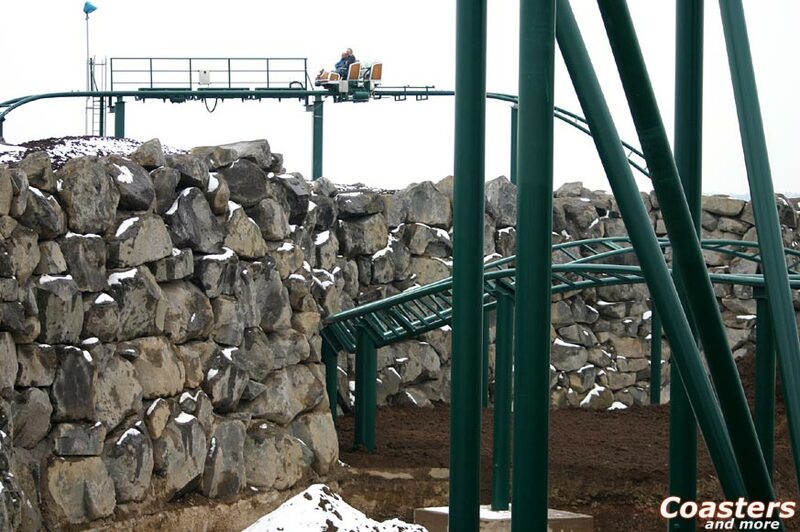 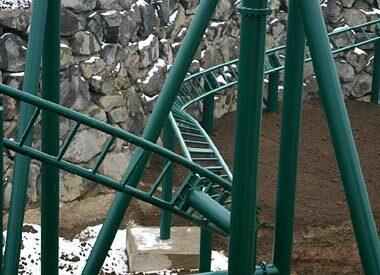 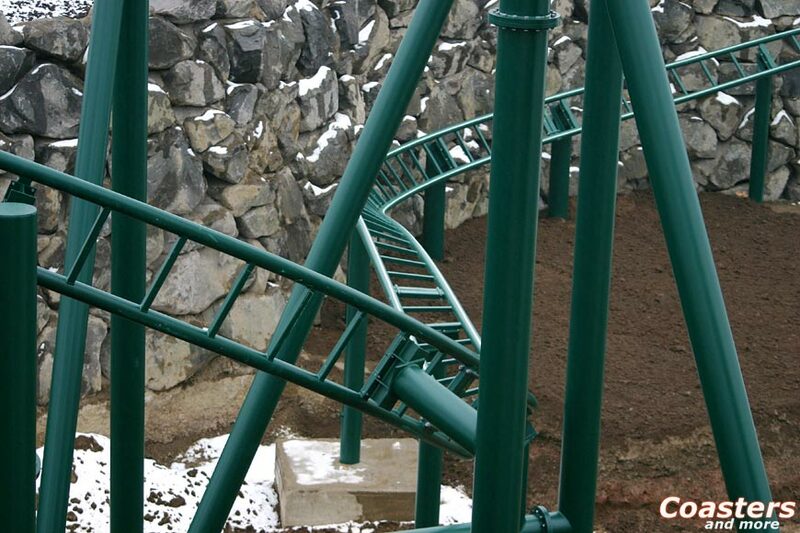 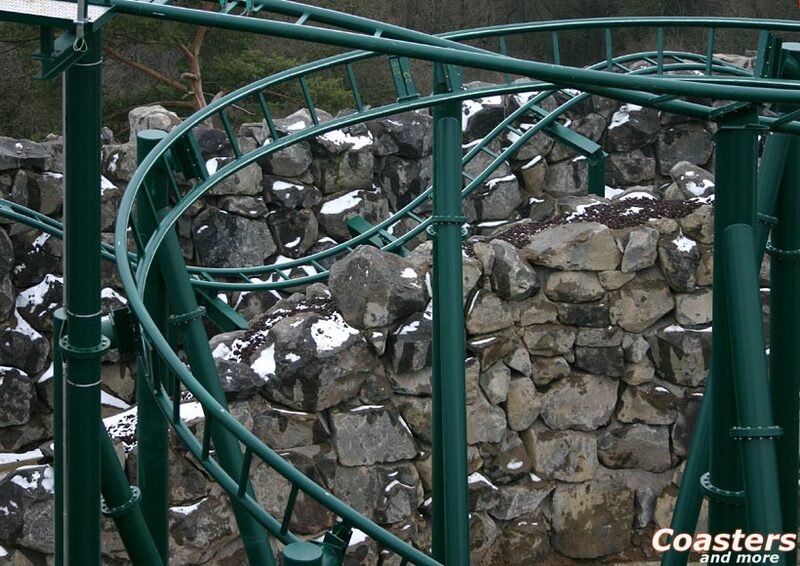 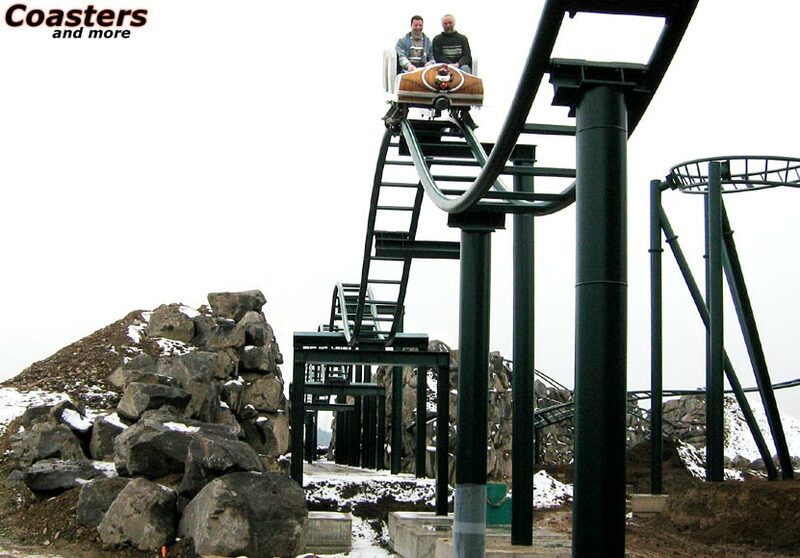 Coastersandmore features a "hot set" of pictures, showing test rides of this g-force powered roller coaster. 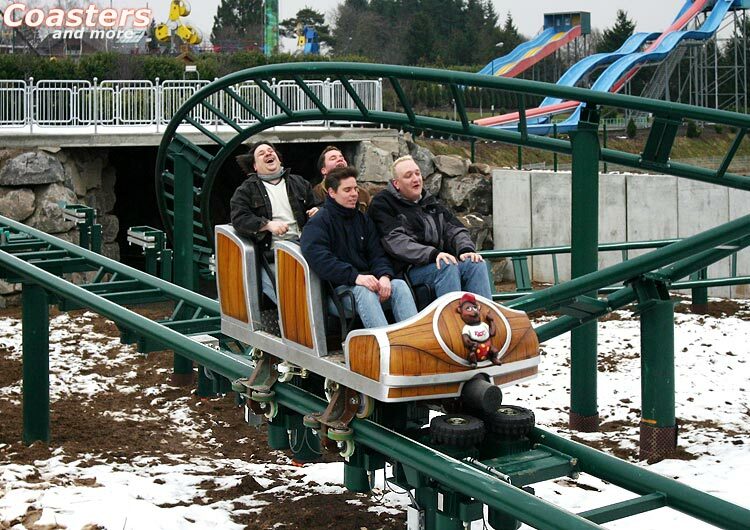 Fun, speed and intense accelerations are the outstanding features of this ride. 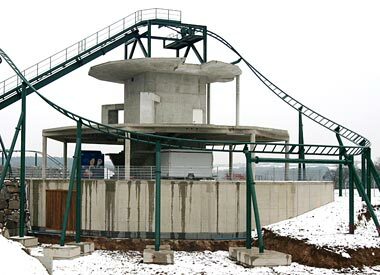 A real gem came into being high above the Moselle river more or less secretly. 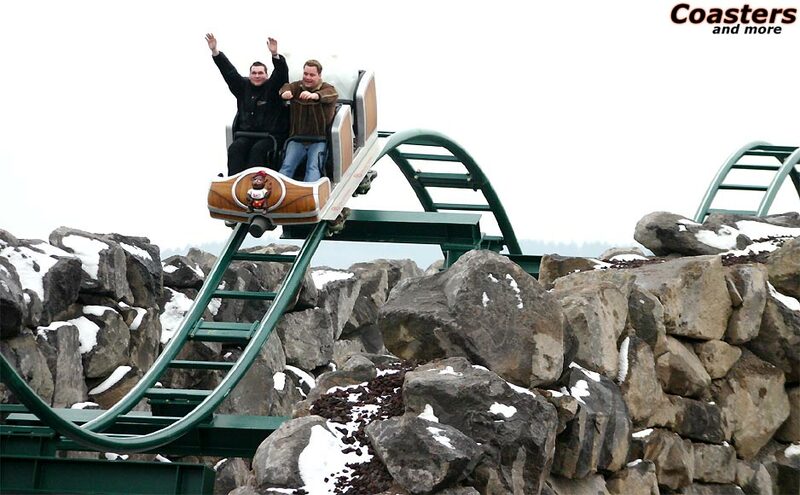 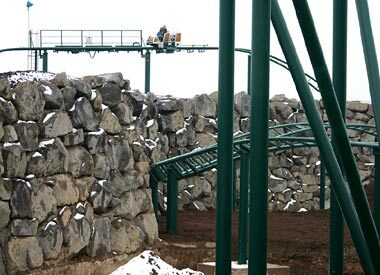 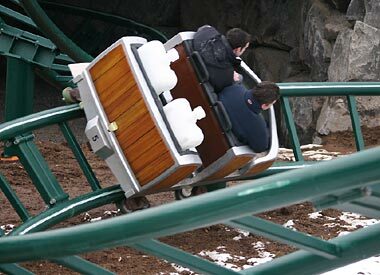 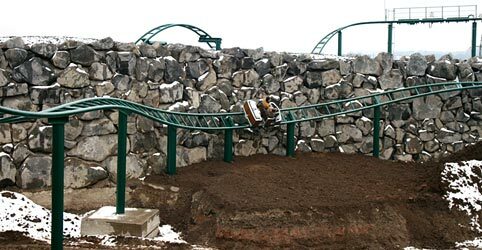 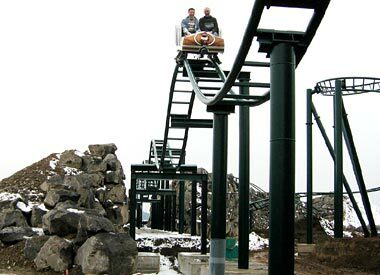 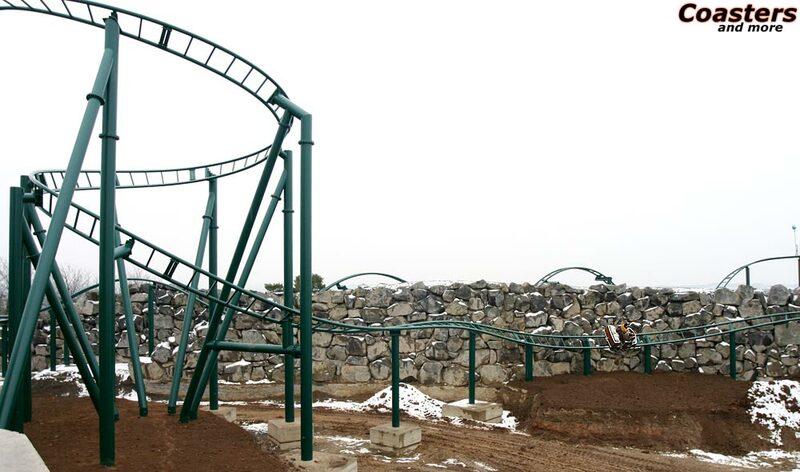 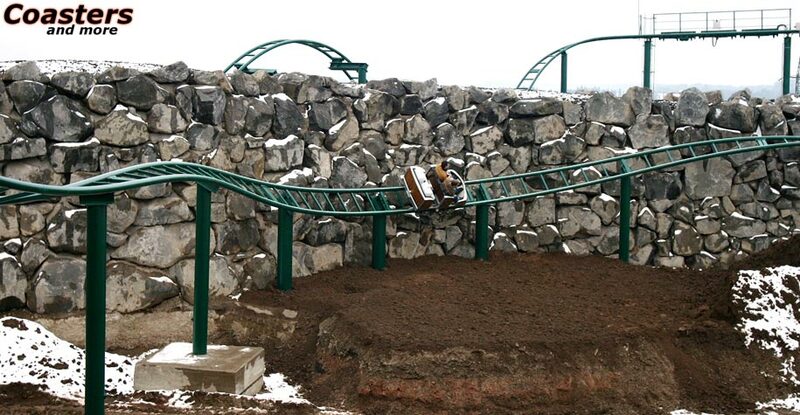 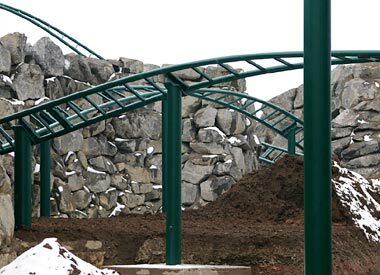 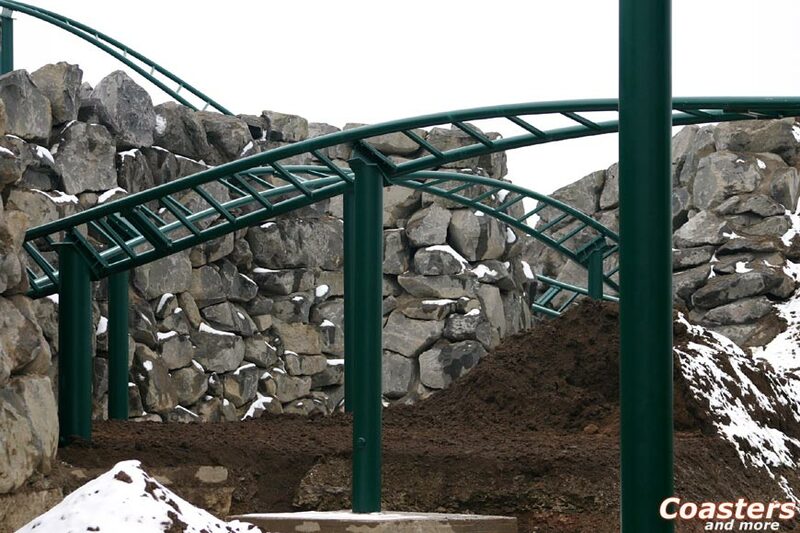 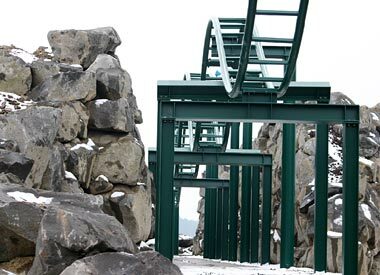 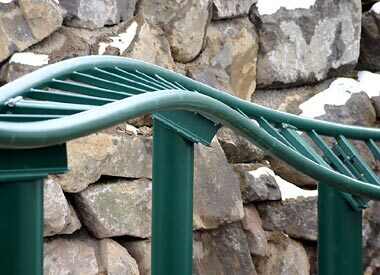 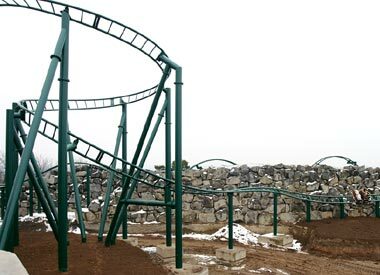 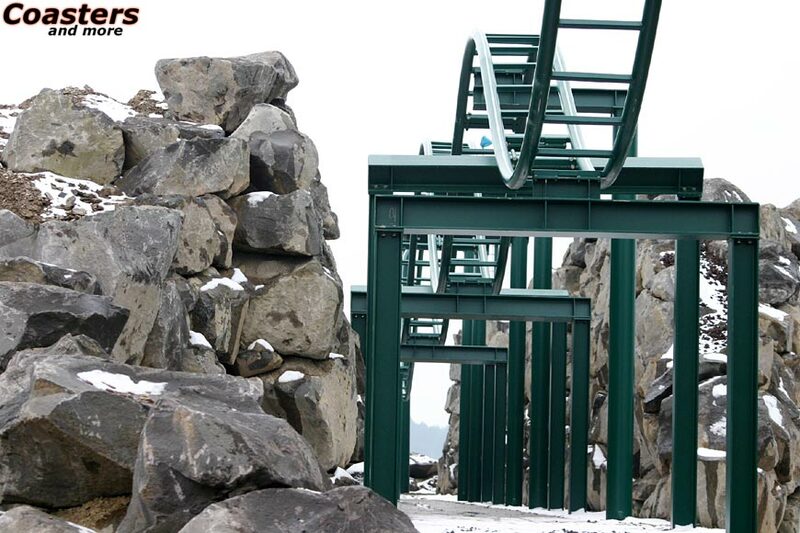 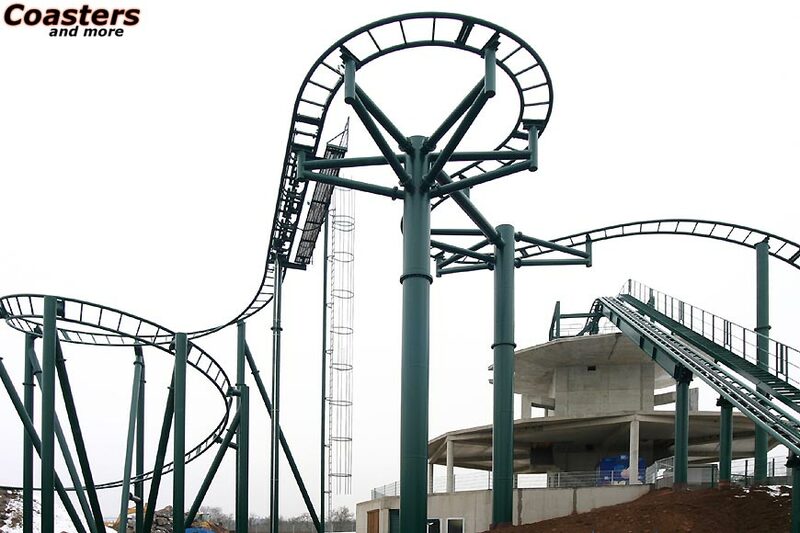 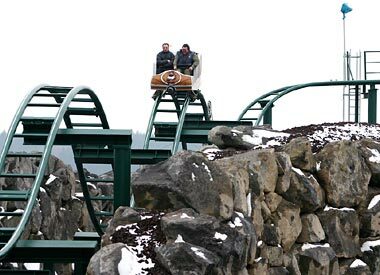 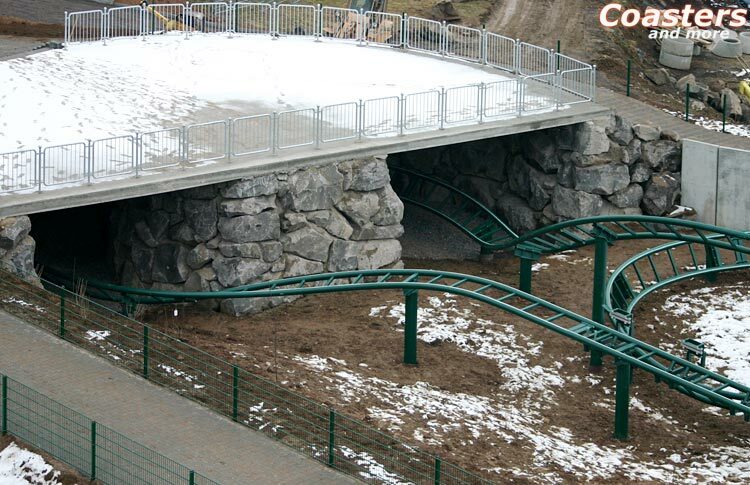 Wild- und Freizeitpark Klotten and its new and yet unnamed roller coaster will open to the public on April 1st. 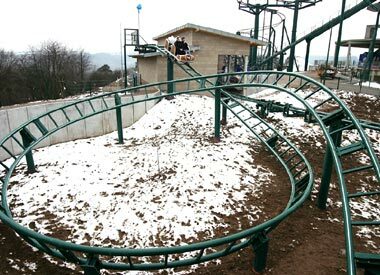 Hopefully it will bring the appropriate amount of visitors towards the park near Koblenz, a little south of the famous Formula One Nürburgring. A detailed background feature will follow in our issue 04. The copyright for the pictures belongs to the photographers, respectively. 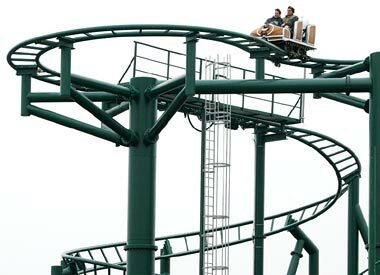 Publishing, distribution and copying without written permission is strictly forbidden.